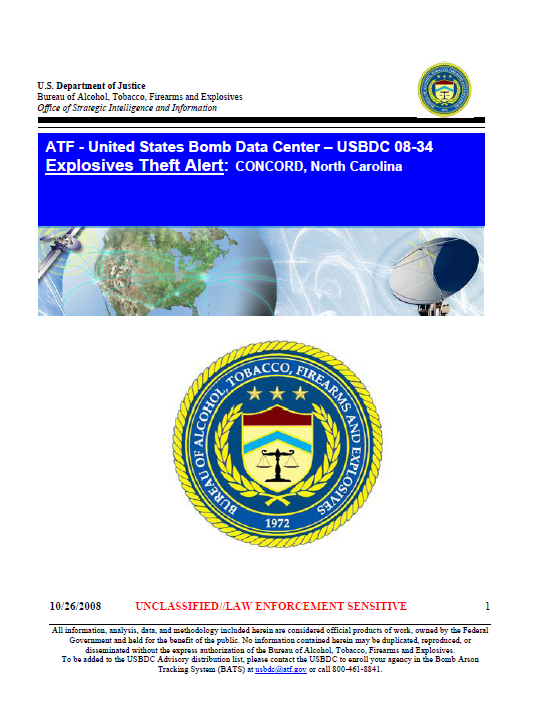 Summary: On October 23, 2008, ATF received notification of an explosives theft from B.R.S. Inc. B.R.S. advised that sometime between October 20th and October 23rd, unknown suspect(s) cut the locks to their Type II storage magazine and stole two cases of ORICA Magnum Ultra HW. The stolen explosives are described as being 2” by 16” sticks and were distributed among two cases. A full case weighs approximately 55 pounds. After an inventory reconciliation was conducted, it was determined that approximately 88 pounds of Magnum Ultra HW was stolen.